Gavox is a watch brand that has been established in 2011. Their first collection GAVOX Curtiss P-40 was named in honor of the American Volunteer Group (AVG) who joined the Flying Tigers in China in 1939 to prepare the local defense against attacks from the Axis alliance. The design of the Curtiss P-40 takes cues from Avionics instruments: graduated minute tracks, sans-serif numerals, luminous hands and indexes all contribute to an optimal readability in all environments. The watches are available in two different surface finishings: brushed surgical-grade 316L stainless steel or aerospace black coating (Physical Vapour Deposition). 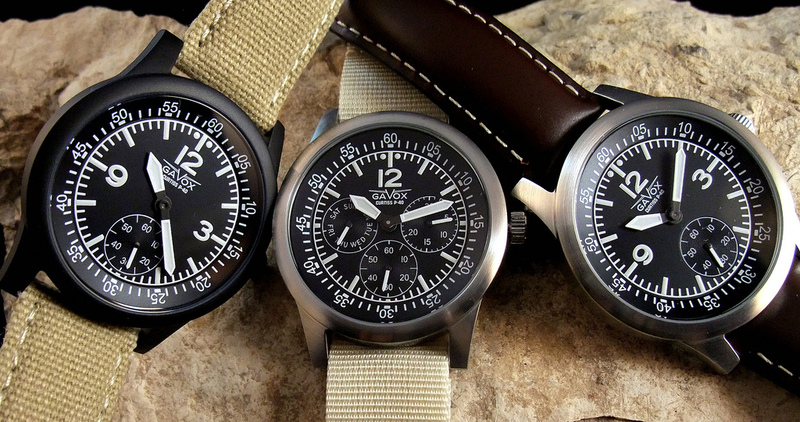 The Curtiss P-40 collection is powered by a multifunction mechanism built by industry leader Seiko Instruments. The silver oxide battery is mercury-free and runs for 3 years. All Curtiss P-40 models are produced in limited series, water-resistant to 5 bar, and can be purchased on a broad range of straps such as military nylon strap, padded canvas or oiled leather. 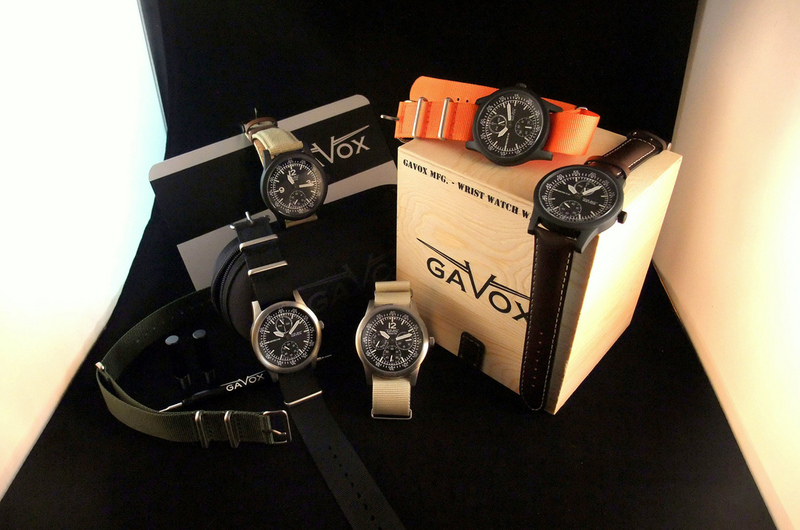 GAVOX is a registered trademark of Time2Give.be, and all GAVOX wrist instruments are sold in exclusivity by Time2Give of Belgium. The founder of Time2Give is the grandson of one of the legendary “Flying Tigers”. As an engineer and pilot, he decided to create utilitarian watches that could be used by professionals on the field and reflect his passion for technology, astronomy and space exploration.